She's Mickey's longtime main squeeze, she has a lovely singing voice, and now she's yoo-hooing to have a drink with you! 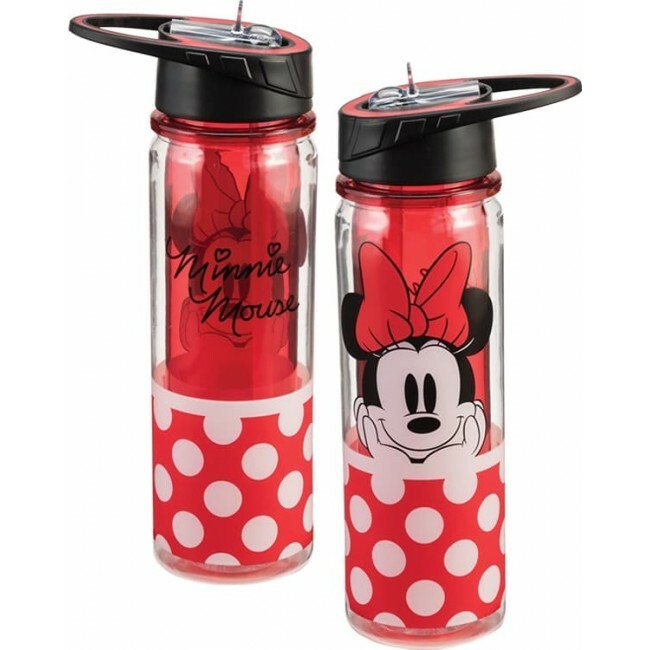 Disney-fy your cold, refreshing beverage with this Minnie Mouse 18 oz. Tritan Plastic Bottle featuring a bold, bright design of Mickey's lady love. Insulated double-wall design resists condensation. Spill-proof sport lid with straw. Top rack dishwasher safe.